Sarah Buell, the daughter of Captain Gordon Buell, was born in Newport, New Hampshire, on 24th October, 1788. She was educated by her mother and later ran a small school in Newport. Sarah married David Hale in 1813 and over the next few years had five children. 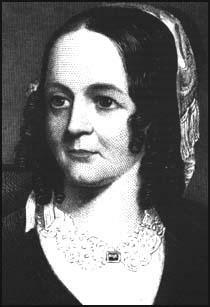 After the death of her husband in 1822, Sarah Hale began contributing poems and articles to local journals. She also published a book of poems, The Genius of Oblivion (1823) and a novel, Northwood, a Tale of New England (1827). In 1828 Hale was appointed editor of a new journal published in Boston called the Ladies' Magazine. As well as editing the journal Hale, using a series of pseudonyms, wrote around half of its contents including essays, literary criticism and poetry. In the journal Hale advocated an improved system of higher education for women. She was also active in the Boston Ladies Peace Society. In 1830 Hale published Poems for Our Children, a book that included her most famous poem, Mary Had a Little Lamb. Louis A. Godley took over the Ladies Magazine in 1837. Soon afterwards Hale accepted Godley's offer to edit his Godley's Lady's Book in Philadelphia. The journal was a great success and by 1860 had a circulation of over 150,000. It included illustrations and an advice column and this greatly influenced the fashions and social behaviour of women during this period. Godley did not share Hale's views on women's rights and Godley's Lady's Book was less political than the Ladies Magazine. Hale was not able to support women's suffrage in the journal but she did take the radical step of advocating the employment of women doctors. In 1854 Hale also published a 2500-entry encyclopedia of women entitled Woman's Record. Sarah Hale remained as editor of Godley's Ladies Book until the age of 89. She died two years later in Philadelphia on 30th April, 1879.